In this day and age filmmaking doesn’t have to be expensive. Lets face it, in the film industry equipment isn’t cheap. A single piece of equipment will often cost more money than the average person will make in an entire year. Although this may be bad for most of us, it isn’t the end of the world. With consumer quality video capturing devices becoming increasingly advanced each day, the options an independent filmmaker has at their disposal become wider. One of the advantages to being an independent filmmaker is that people understand that budget is often an issue and if your film doesn’t share the same picture quality as the latest huge budget Transformers film, don’t worry. With the use of easily available cameras and equipment an indie filmmaker can get stunning images all for under $1000. Yes, you read that correctly. You have to remember, equipment doesn’t make the film. Movies are about telling a story and pieces of equipment are just the tools you use to get that story from the page and to the audience. The following cameras will allow you to capture great images that not only make your film look stunning but also allow you to save huge amounts of cash. The Pentax K-x is a camera that has captured my interest for some time now due to its low price tag. The DSLR independent filmmaking revolution has blown the lid off every aspect of independent filmmaking. DSLR cameras are often used in the production of web series, music videos, and have even been used to shoot the opening of Saturday Night Live. These types of cameras produce images that often rival traditional film based cameras by shooting at the same frame rate and producing a depth of field. The Pentax K-x is one of the these stunning cameras. The Pentax K-x is equipped with features that appear on much more expensive cameras such as the ability to shoot high definition video at 24 frames per second. Although the camera is a great buy it does have a few weaknesses. The camera does not support the use of an external microphone and is also prone to the “Jello” rolling shutter effect that occurs when the camera is moved while filming. However both can be overcome with a bit of ingenuity. To compensate for the lack of an external microphone users have purchased a field recorder to separately record their audio tracks. The Zoom H1 Handy Portable Digital Recorder is one of the most widely used field recorders. The recorder costs under $100 and can be easily attached to the body of the Pentax K-x allowing for professional quality audio to be recorded. In addition, the rolling shutter effect can easily be eliminated with the use of various stabilizers and specialized lenses. Below is a video that was shot entirely on the Pentax K-x. The Canon T2i is one of the most popular cameras among both independent filmmakers and photographers alike. The camera owes much of its success to it’s brand and high quality. Canon is one of the most trusted camera manufacturers in the world and provides great support for each of their products including the Canon T2i. The Canon T2i is available at just about every electronics store and features a sensor that is able to capture great looking images in low light situations. The camera is a must buy for anyone looking to create either online videos or even feature length films. Shooting films on this type of camera has become an accepted practice and is occasionally encouraged by industry professionals. No longer do you need to go to film school to get access to high quality equipment. 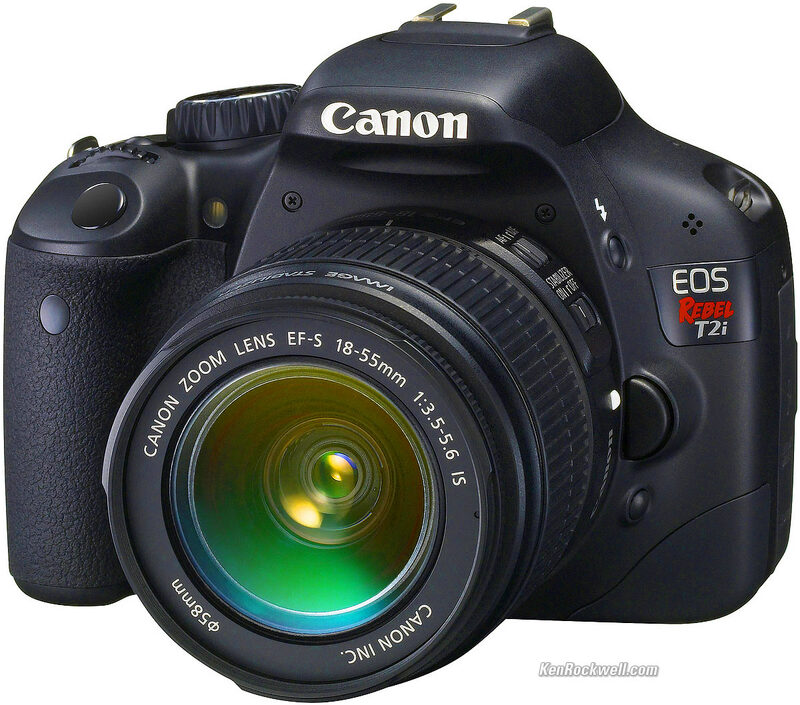 The most significant disadvantage to the Canon T2i is the lack of autofocus while shooting video. When the camera is recording video it is up to the person operating the camera to make sure their subject is in focus. I guess it’s time to learn how to use the camera’s focus ring. The video below was shot entirely on a Canon T2i. The difference between the Canon VIXIA HV3o and the first two cameras on this list is the fact that its primary purpose is actually to shoot video. The Canon VIXIA HV 30 does not support interchangeable lenses but this small drawback can easily be overcome with the use of various camera attachments and wide angle conversion lenses. Because the camera’s main purpose is to shoot video, it has many more features than you would find on a typical DSLR. One of the camera’s major selling points is its 24p Cinema Mode that automatically color corrects your video in-camera to provide a look that recreates film. The camera has a huge online community of filmmakers that create various films and complete challenges with the device. In addition to its picture quality the camera also features the ability to manually control audio levels. This is a huge strength for the camera, and allows users to manage the recording of audio on set eliminating the need to spend countless hours modifying terribly recorded audio in post production. Users can monitor the recorded audio using headphones via the camera’s headphone jack. The video below was shot entirely on the Canon VIXIA HV30. 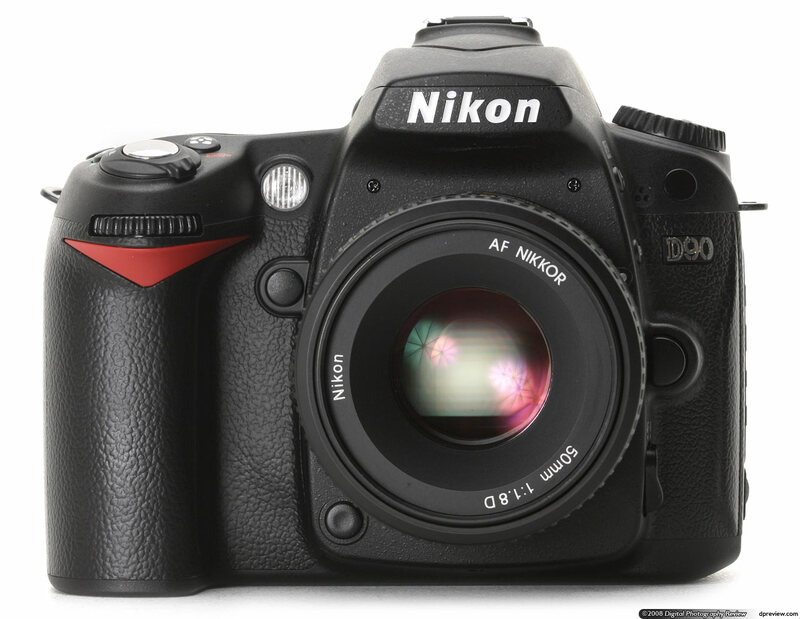 The Nikon D90 is very favorable among many because its ease of use and lightning quick start up times. The camera is equipped with Nikon‘s world famous DX-format CMOS sensor that allows the camera to interpret light in an efficient manner. This camera is great but is definitely lacking in the sound department. The camera is incapable of recording video in stereo and does not feature a manual audio control nor does it support the capability to plug in an external microphone. The camera will create outstanding images but will definitely need a field recorder if you plan on creating anything even halfway decent. The Nikon D90‘s images are breathtaking and professional and with the use of other equipment you can create great looking videos. The video below was shot entirely on the Nikon D90. Sony is one of the most recognizable names when it comes to electronics and never disappoints when a new camera hits the shelves. 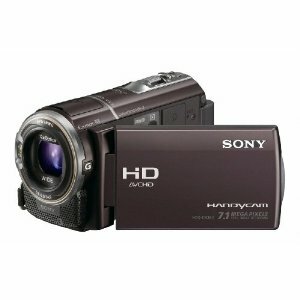 The Sony HDR-CX360V is a great camera for casual indie filmmakers. The camera is a step up in terms of overall video quality and features full 1080 HD video. The camera’s main drawback is the use of uncommon video recording codecs. This may make editing a bit tricky. The video below was shot entirely on the Sony HDR-CX360V. ← Neflix Decides to Raise Prices?! Great review man, thanks a lot! Especially for video examples. Yea I agree, very nice round up of the cameras available for indie filmmakers and the video sample definitely helped. Much thanks! Do you know what some of the Editing Software was? This is a wonderful compilation of reviews. Most of these camera’s I’ve read about before, but was unaware of the filming capacity. Now that I’m starting to study film, it’s a perfect start up guide. Thanks a lot! Do you happen to have an audio guide as well? That was amazing, would never have thought the sample videos provided could have been shot by such affordable cameras. Thanks for the insightful piece on working with cameras on the less pricier side of the market. I have one quick question, should you have the time. A few years ago I purchased a Canon AVCHD VIXIA HF 10. My plans are simply for a workshop scenario in a church setting. It does have the Cinema Mode, however I’m not sure it compares. I love the camera, but will it produce intended results – largely filming acting scenes. Hello Jim! Thanks for reading the blog! 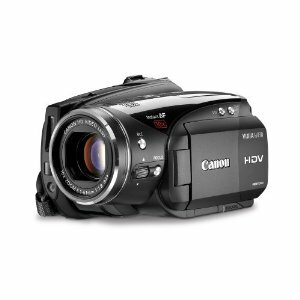 In terms of your camera the (Canon AVCHD VIXIA HF 10), it should do you just fine. When in Cinema mode the camera changes the framerate to 24FPS to produce the same movement that is produced when shooting on film. In addition, the camera features an outstanding censor, and the ability to manipulate the depth of field, which is an important aspect. Keep in mind that most professionally shot videos and films utilize a shallow depth of field to emphasize distance between the subject and the background. Play around with the camera’s (aperture priority mode) to create some nice looking imagery. Overall for your workshop setting the camera will be able to provide great quality images. Something to keep in mind though is that the camera is only really responsible for half of the final image. In order to produce images that truly appear as though they could be seen on the big screen, you will need to “Color Correct” your footage within an editing program. When I get more time I’ll probably write a guide on how to do it. Hopefully this helped! Thank you so much for this post! I am planning on shooting surfers in the Dominican Republic…any recommendations on the best camera to travel overseas with? I am also looking to make a small indie as well with it. I am not the most tech-savvy (more story savvy) and am trying to learn equipment…what’s a good starter camera that will give me good quality and festival worthy results as well? Thank you! Thank you VERY much for your insightful review and examples, very helpful to me! Question: with the Pentax K-x example above, was there a special lens or filter used to achieve the quality? I am thinking of purchasing based on price and quality. Thank you again….invaluable help! A REALLY great tip would be to explain why the Pentax K-x short film really looks almost like film, while the D90 one looks like crap in comparison. What sets it apart from other SLRs in this price range and class is that it has the option to accept either four AA batteries (with an optional adapter) or a rechargeable lithium-ion unit (provided with the camera). The K-30 also has plenty of other useful features that are often reserved for higher-end cameras. For example, in Live View, photographers have the option of activating focus peaking. The optical viewfinder provides 100 per cent field of view, while a dual dial configuration makes exposure adjustments simple. The rear dial acts as an aperture control dial/magnification dial, while the front one is a shutter speed adjustment dial. Reblogged this on A Vagabond's Diary. Good advice! What do you think about using iOS devices as cinema cameras? Great review, do you have a similar review of affordable editing software please? I want to make movie so please suggest me cheap and useful camera. Its shooting will help for cinema screen. Why isn’t the Panasonic GH-2 in this review. It’s THE camera for DSLR filmmakers and now it’s out of production much cheaper than many of the Canon options.